Year Built: 1989 "refurbished 2007"
Luxury apartment at Metro Jomtien Condotel floor 30, beach-front. Lounge, fully equipped European kitchen, 2 bedrooms each with bathroom ensuite. High-speed ADSL Internet - 3BB Maxnet (6M/1M). 42 inch Plasma TV in the lounge, two 29 inch TV’s in the bedrooms, 3 DVD players, home theatre. 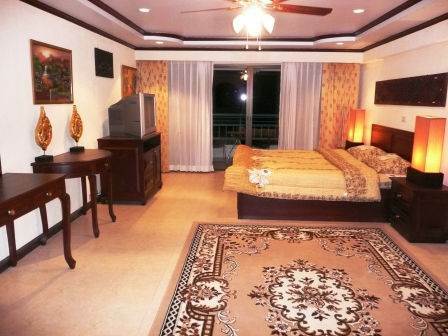 Swimming pool, 24 hour security, reception, mini-mart, fitness centre, tennis courts, recreational room. Foreign ownership. Our reference JTC1019. Please phone 084-864 6068 to arrange a viewing.